It is with great sadness that we announce the passing of our loving and wonderful mother, Maria Inez Medina (Peggy). Mom entered into Heaven, embraced by our Heavenly Father, to join her husband, Gilbert on Thursday, October 18, 2018. Mom was born in Fillmore, California on February 22, 1936, to Fidel and Alice Lozano, who preceded her. She grew up in a loving family with three sisters and two brothers. She graduated from Fillmore High School in 1954 and was a member of the Girls Athletic Association. She met the love of her life, Gilbert Medina in Fillmore and they married on October 26, 1958. They had seven children and she took pride in raising them with love. She was a meticulous housewife and mother. She took great pride in her children’s appearances, along with keeping her house clean and her yard beautiful. Mom enjoyed her Saturday visits with Aunt Barbara, as well as visits from her grandchildren. Giving to her favorite charities was also something she was very passionate about. She is survived by her children; Pam (Philip) Garcia, Lisa (Kyle) Dock, Laurie (Valentin) Montano, Bridget (Steve) Gangl, Joseph (Arisela) Medina, Michelle Medina, Mitchell (Elizabeth) Medina, 16 grandchildren and 9 great-grandchildren. She is also survived by her siblings, Barbara (Robert) Morales and Frances (Chikao) Irie. Her siblings preceding her were Dorothy Sanchez, Charles Lozano and John Lozano. We would like to thank Deacon Ramon for the compassion he showed our mother. She always looked forward to his weekly visits on Wednesdays, when they would pray together and she would be given communion. On Thursday, October 25, 2018 at 9:30am, A Holy Mass will be officiated by Fr. Alex Amayun, at Saint Francis of Assisi Catholic Church in Fillmore. Rosary will be recited immediately following the Mass. Upon our mothers wishes, a private burial will be held at Bardsdale Cemetery. In lieu of flowers, a donation can be made to Saint Francis of Assisi Church in memory of Maria I. Medina. 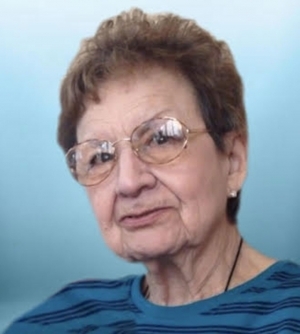 www.santapaulafuneralhome.com and click on Maria’s name located below “Recent Obituaries”.